I have finally ordered my prints of our family/children pictures we took last year. 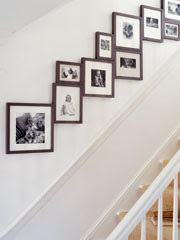 I don’t have a lot of wall space available, so I’m going to arrange the photos on the wall by the stairs. I’ve been checking on online for ideas on how to do this, in my opinion, tricky project. 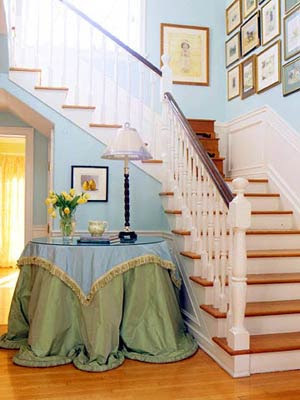 Not a lot of resources–I guess not many people do the staircase photo gallery.